When it comes to nature, Krabi has almost everything. 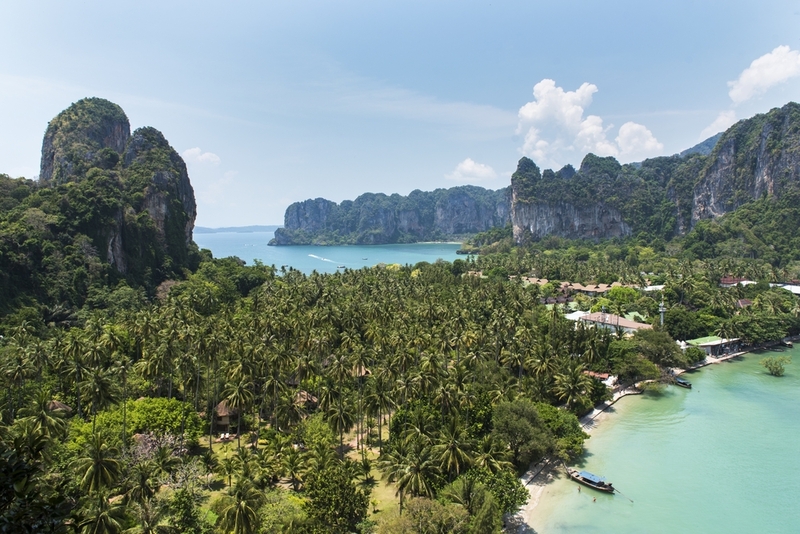 The main draws are the beaches and the islands, but Krabi’s seascape is no ordinary. It’s dotted with limestone cliffs and caves. Further inland, you can find more stunning nature like mountains, emerald ponds and mangrove forests. Complete with a vibrant walking street that isn’t overly commercialized, it’s hard not to fall for Krabi. 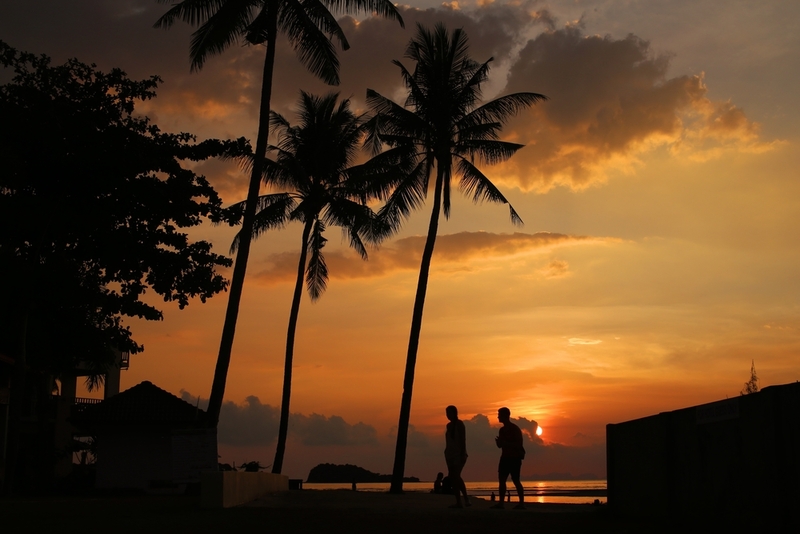 You might come for Phi Phi Islands, but you’ll leave with your love for the whole city. Consisting of Phi Phi Don and Phi Phi Leh, Phi Phi Islands are the ultimate island paradise in Krabi. Since many tourists get inspired by the film “The Beach” and travel to the islands, the area can get pretty crowded. Still, the trip would feel incomplete if you haven’t seen the famous cerulean water of Maya Bay decorated by tall limestone cliffs. If you’re after a great dive, Koh Lanta is your answer. With many diving schools, you can even learn to dive there and enjoy an underwater adventure. Apart from rich marine life, life above the water on Koh Lanta is as wonderful. The island is still very serene, but there are enough lovely resorts for visitors. Spend a few days on the island and discover what simple delight means. 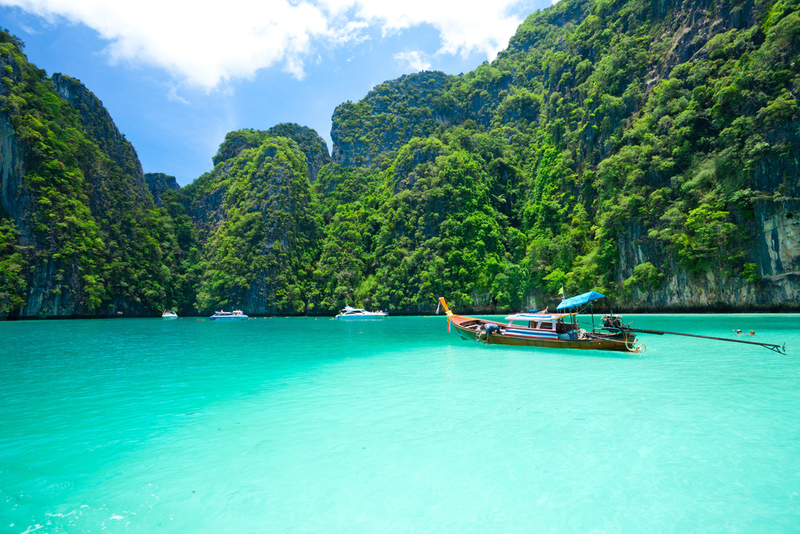 Apart from the big name like Phi Phi Islands, Krabi has many little islands with big charms. From a convenient starting point like Ao Nang, you’ll find a lot of tours that offer to take you to many charming islands in one day. Book a tour and discover the other beautiful islands and marine attractions, especially Phra Nang Cave, Koh Kai (Chicken Island) and Poda Island. Thanks to the strange rock formation, Koh Kai will remind you of chicken’s head, hence the name. Koh Poda is well-known for the pristine beaches and crystal clear water. Phra Nang Cave boasts not only stalagmites and stalactites but also sunset framed by the cave entrance. 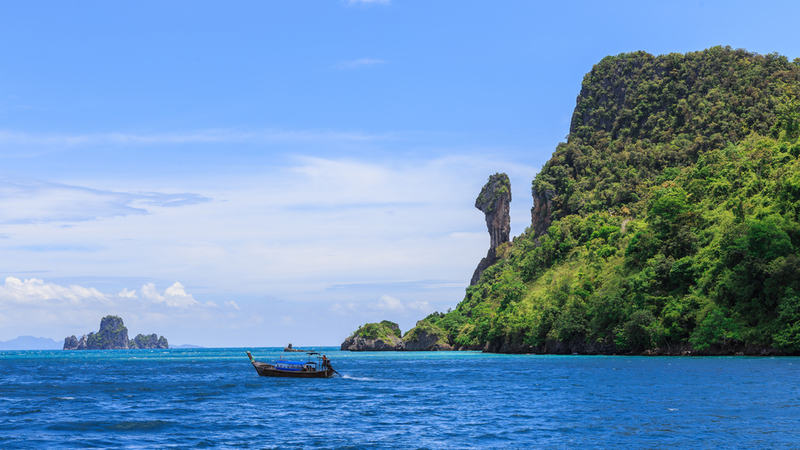 Railay Beach is accessible only by boat, but the journey is worth it. If you’re here to relax, feel free to sunbathe on the sandy beach and enjoy the view of the turquoise sea and the majestic limestone cliffs. But if you’re an adventurer, this is a great opportunity to actually climb those cliffs. Book a Railay Beach Rock Climbing Experience with Street Food Tasting. There are so many lovely viewpoints in Krabi. For keen hikers, try Khao Ngon Nak and Khao Khanab Nam. But if you don’t want to hike, Khao Khanab Nam themselves make for a wonderful view. 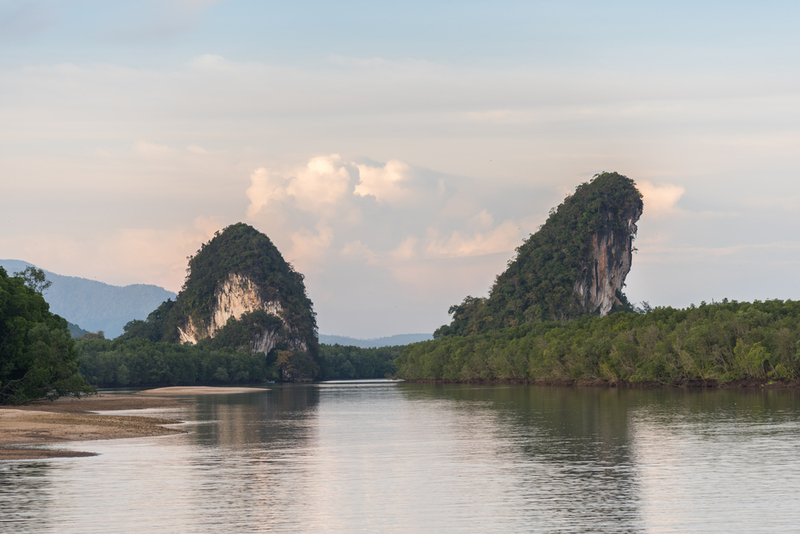 Each one situated on each side of the Krabi River, the twin mountains of Khao Khanab Nam are the city’s signature. For those who find temples fascinating, visit Wat Tham Sua (Tiger Cave Temple). You can actually enter the caves and pay respect to the Buddha images and climb the stairs (over 1,000 steps!) to a great observation point. Swimming pools can’t beat swimming in nature and Krabi offers pretty unique choices. 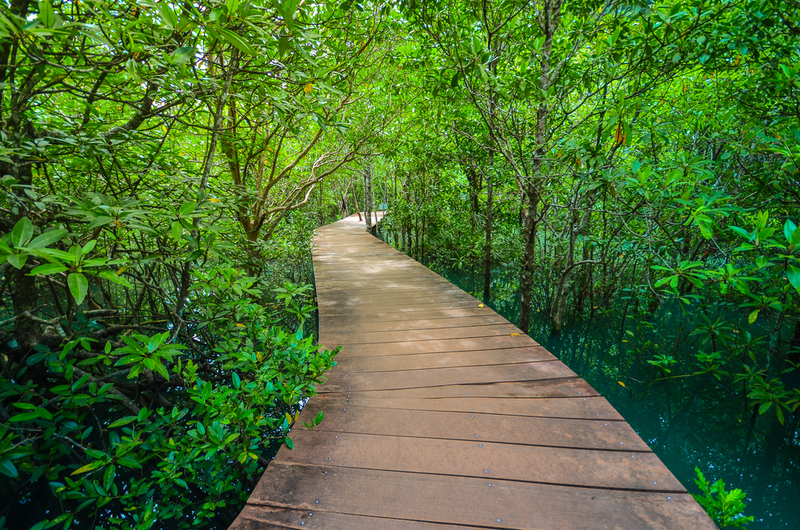 At Tha Pom Khlong Song Nam, you can swim in the emerald water and also walk along the nature trail in the mangrove forest. The Emerald Pool is another great place with gorgeous water color and lush surroundings. But the most unique of all in Krabi is probably Namtok Ron (Hot Waterfall) or Klong Thom Hot Springs. Even though it’s usually hot in the south, you should still give it a try. The area around Ao Nang has some good clubs and bars for party lovers, but if you prefer eating to drinking, make sure you’re in Krabi during the weekends. From Friday to Sunday, there’s an evening walking street where you can try various street food and shop for cool souvenirs.